Windfoiling developments are going fast. 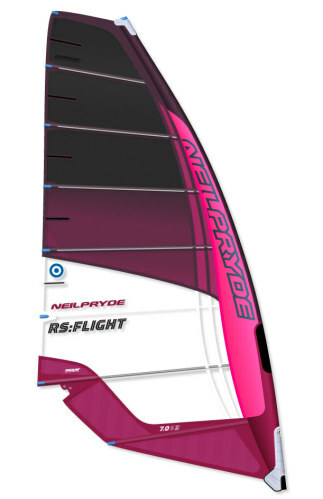 It's a whole new and sensational way of windsurfing, which is already possible at 8-9 knots of wind. The disadvantage is that you need relatively deep water. For sure, takes at least more than one meter to prevent touching the bottom. Windfoiling is not difficult. With a little windsurfing skills you will be able to sail quite quickly, although in the beginning you will go up and down as a redeo star. To make it easier we recommend starting with a shorter 40 or 70 centimeter mast. First question: is it possible to use your own windsurfboard? Yes, but is not recommended. The finbox is not strong enough and a lot of other characteristics are totaly different. 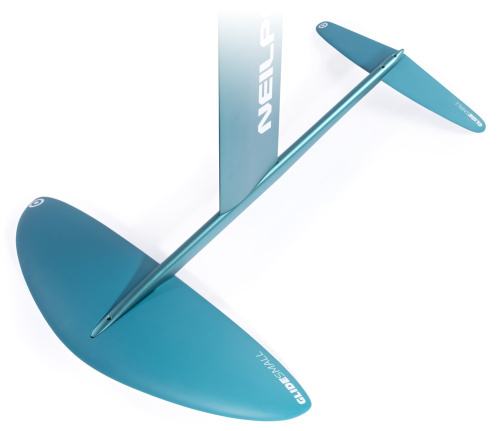 The specific windfoilboards have quite different characteristics compared to normal boards. 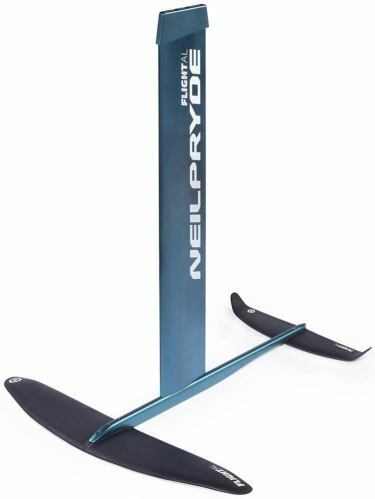 A real foilboard has a very small rocker line. Even slalomboards are curved. 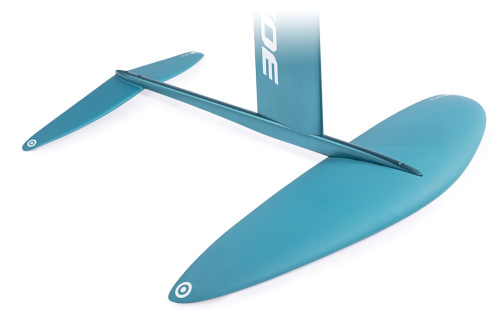 A windfoil board doesn't need rocker because it doesn't plane really. The straight rocker line of a windfoil board creates extreme advantages for planing the first meters. 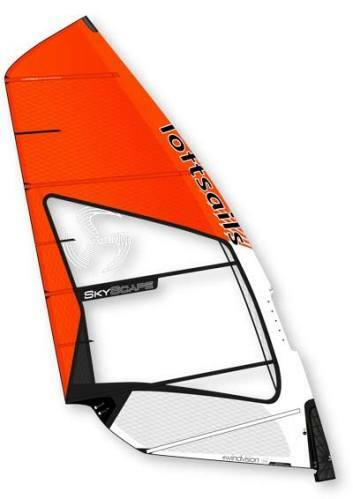 The tail of a windfoil board is very wide. 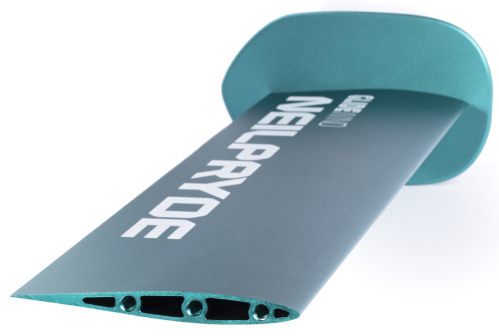 With a wide tail you can instantly enter the footstraps without having a lot of speed. 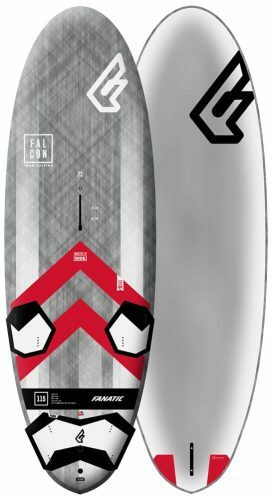 The bottom of a windfoil board is shaped with a lot of concave. 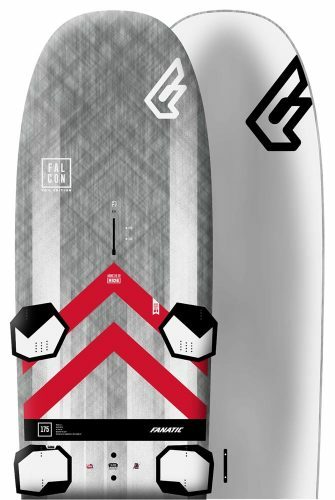 The concaves provide control when you go down to the water with your board. The pressure caused by the dive on the water can be better removed. 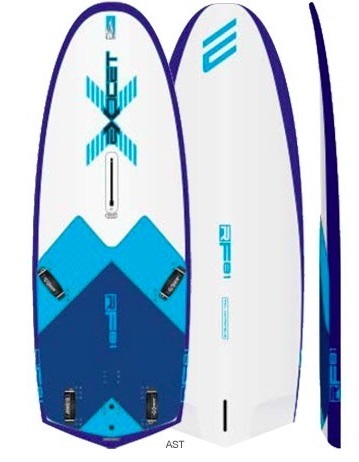 The rails of windfoil boards are much rounder compare to normal boards. The round rails ensure control when you dives in the water. Hard rails are not necessary, because going upwind is not a problem. The nose of a windfoilboard rises considerably. This prevents diving in the water when you come down. The finbox is extremely strengthened. The front of the finbox in a foilboard is extremely loaded. 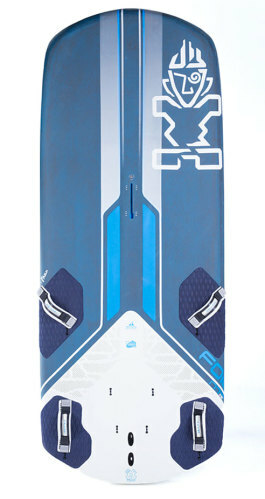 A good alternative to a real windfoilboard is normal freeride, freerace or slalom boards that is 'Ready to Foil'. 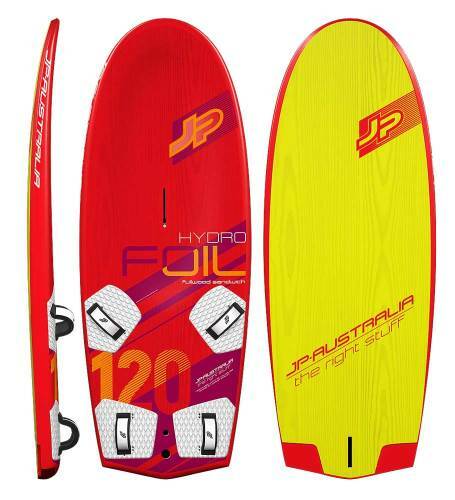 The advantage is that you can use the board for windsurfing and windfoiling. In addition to normal windsurfing you can also windfoil. The disadvantage is, of course, that you do concessions comparing to 'real' windfoilingboards. Many of the features in points 1 through 6 do not apply to a Ready2foil board. 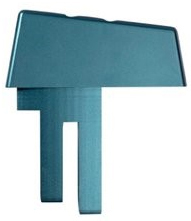 Foil masts are available in different materials. 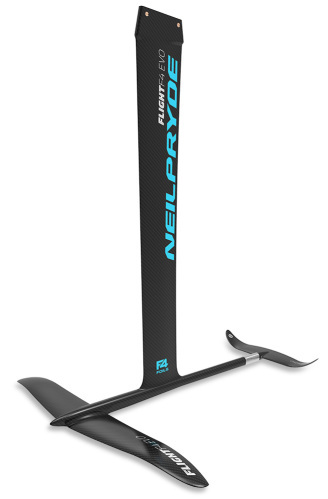 Carbon is stiffer and more expensive, but offers better performance. The cheaper alternative is aluminum. Foil masts are available in all lenght. 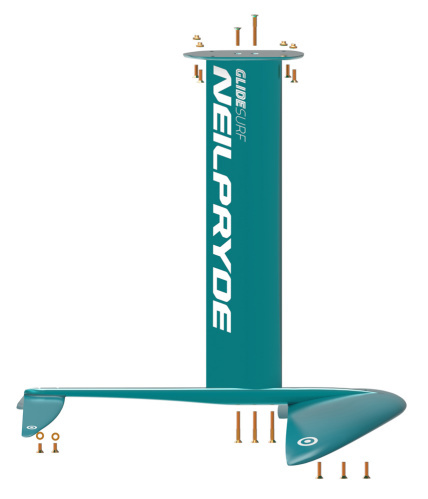 Shorter masts are easier, but have the disadvantage that you quickly hit a choppy wave. 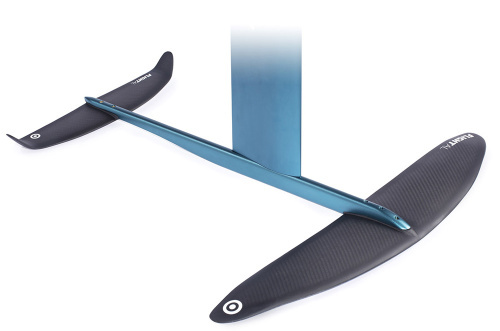 For your first foiling minuts the 40 cm is ideal, but soon you want a lot longer. For freeriding, 70 cm is more than enough. When you really want to race you need 90 cm with an extremely wide board. The extra height is necessary for going upwind. Going upwind works only well when you tills the mast. A short mast gives a risk to hit the water with the side of the board. The frontwing takes care of the lift. The bigger the foil the more lift in general. Of course, profile, thickness, material, etc. are als very important. 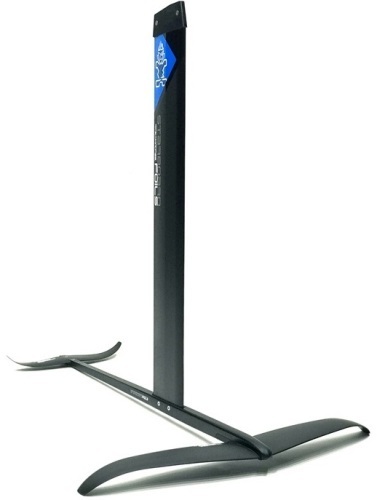 The frontwing should be balanced by the foil stabalizer. 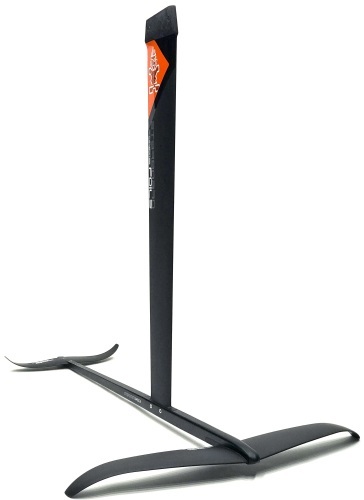 The stabilizer determines the horizontal stability and course. At a windfoil you will also often see a vertical stabilizer. 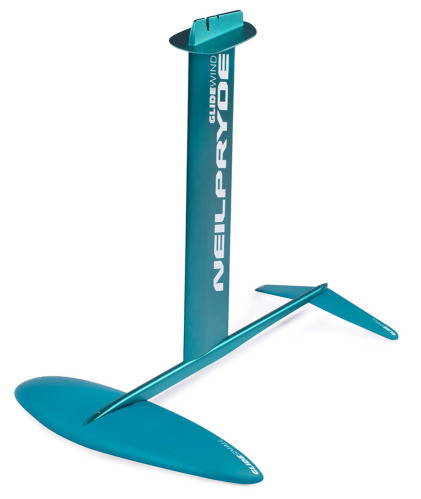 This is required to handle the lateral pressure of the windsurfer. This is probably the most underrated part of the windfoil. The Fuselage connects the frontwing and stabilizer at the bottom. The forces that come across a foil are enormous. Carbon is the most suitable material for this purpose. As a rule, longer fuselage is easier than short because it is more stable.